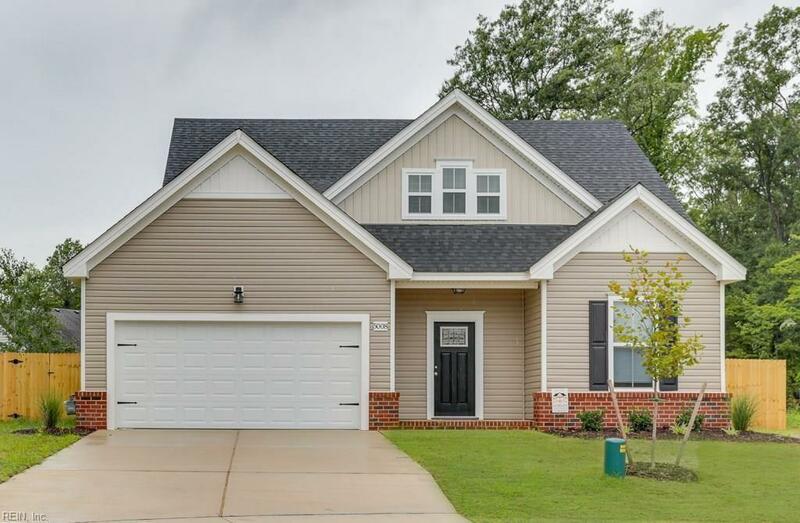 Gorgeous new construction 4 bedroom 3 full bath 2 Car Garage home in new neighborhood in desirable location in Chesapeake. Home has large lot with huge backyard and hardie plank siding! Open layout and 1st floor bedroom next to full bath downstairs. Granite in kitchen & baths. Kitchen offers stainless steel appliances, big island and lots of counter space with pantry. Large den. Huge master with 2 walk-in closets. Master bathroom has double vanity & over-sized tiled shower with shower door. Brick accent on front of home. Home sits on half an acre! Great schools, great location! Come see today! Please visit our virtual tour!